Recently I've started to brave wearing a bolder lip colour, and spotting this lipstick in the Chi Chi stand at Farmers, thought I'd give it a shot. 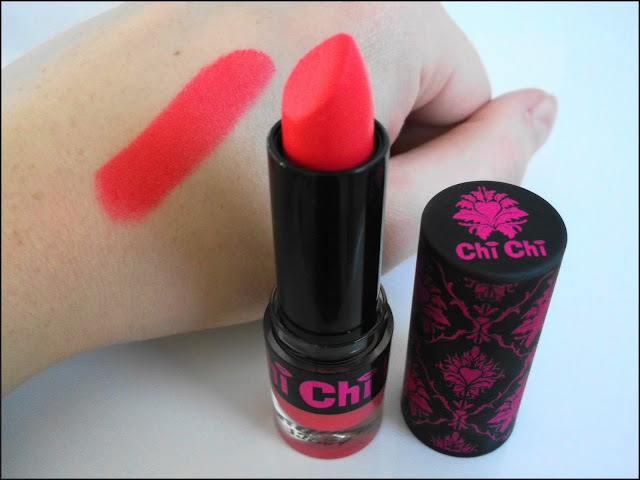 Viva La Diva … all will hail when they notice your dramatic, richly coloured, matte pout. These super saturated, ultra pigmented lipsticks glide on effortlessly leaving a velvety-smooth, long wearing, hydrated finish. Enriched with Beeswax, Calendula, Vitamin E, Evening Primrose and Jojoba Oils these lipsticks are non drying, moisturising whilst at the same time drowning your lips with super rich, fashion hues …. 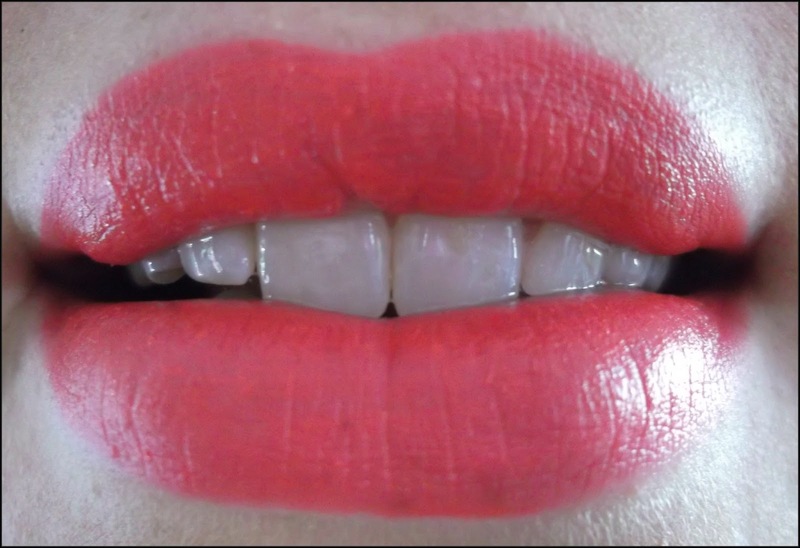 This is the perfect lipstick, its what made our lipsticks famous… Why would you use any other lipstick? 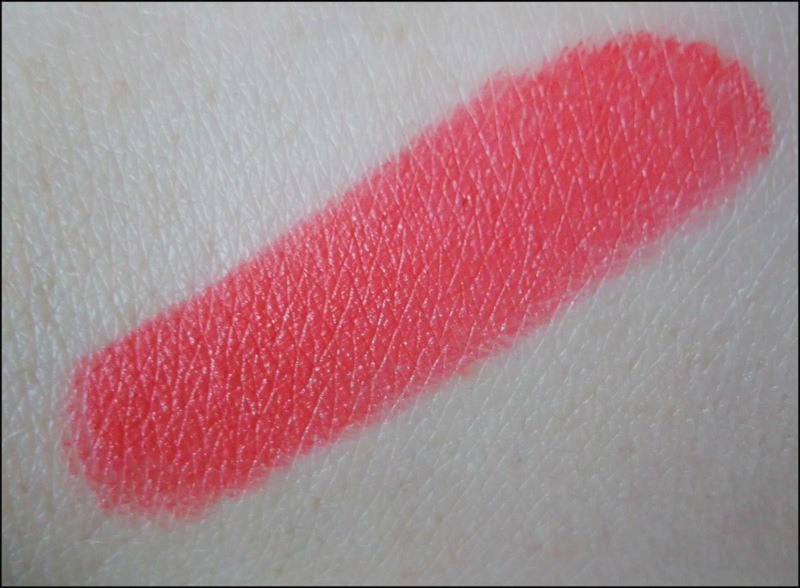 I do agree that these lipsticks are incredibly pigmented, the following swatch only took 1-2 swipes to build up crazy colour. 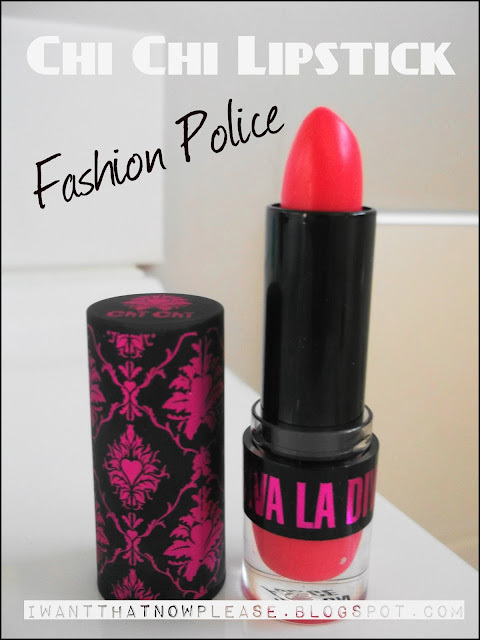 I purchased the shade 'Fashion Police' which is a bright watermelon pink, verging on a red. If you are not used to wearing bright shades, this may be a bit of a stretch as it is very bright, but you can blot it to create a very pretty toned down bright lip (which is what I have been doing). The lipstick is a matte finish, but glides on smoothly and doesn't feel dry at all on the lips. There is only a very slight scent to them as well which I appreciate. Staying power is actually pretty darn good, and even once most of it wears off it leaves a nice stain on the lips. The only real downside to the lipstick I can find is that it tends to accentuate any dry patches on your lips, so exfoliating them beforehand is necessary! 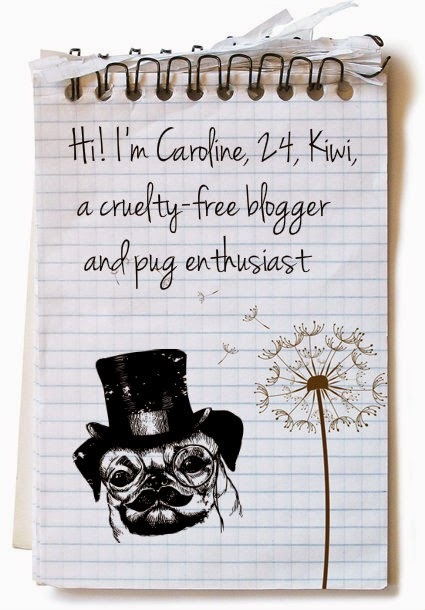 Note from the picture above, the shade is even brighter in real life, hard to capture on film!